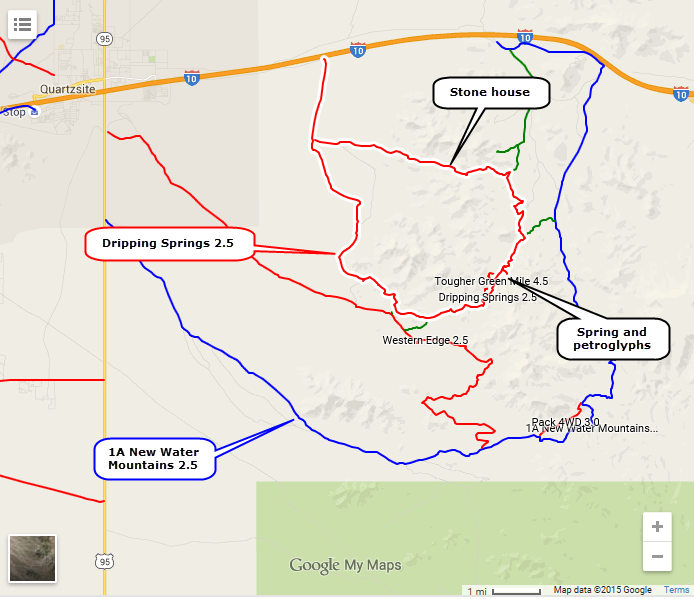 A very interesting Jeep trail. Perhaps on the high side of a 2.5 rating. There are a few small boulders and loose hills. 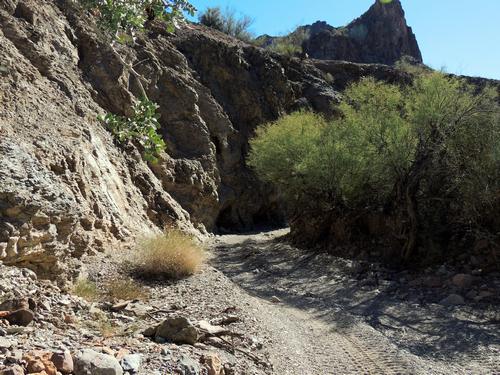 The canyon leading to and away from the spring is quite narrow and twisty. Be careful of oncoming traffic. We ran the trail in a counter clockwise direction, getting the more mundane portion out of the way first. There is a spur off the main trail that dead ends at a big parking area for the spring. 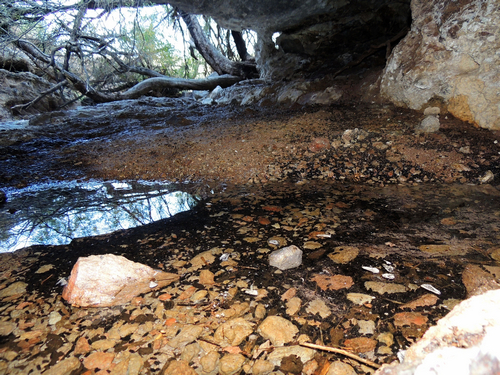 Dripping Springs is a small spring fed pool inside a cave. 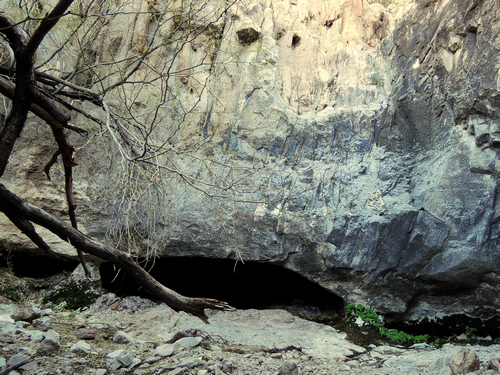 Drive within a couple hundred feet of it and follow a well used path up the wash. Stoop just a bit and you can enter the cave. Smells a bit like bat guano, but we did not see any evidence of it. 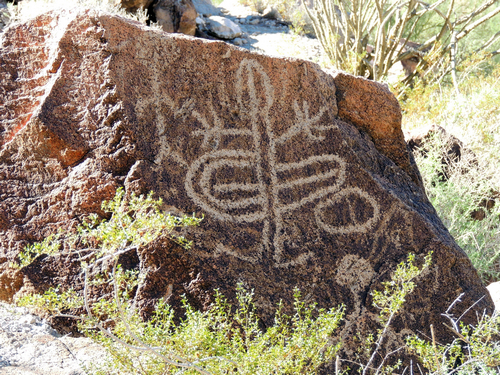 After visiting the spring, follow another trail along the hill and view quite a few petroglyphs on boulders. 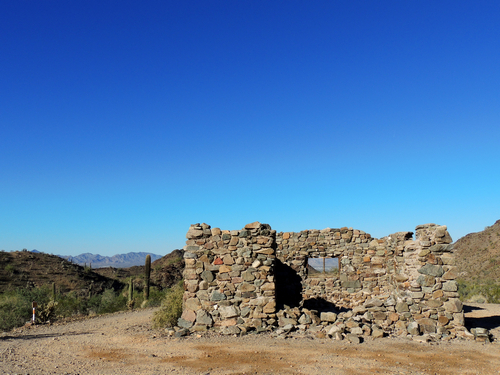 On the north loop of the Jeep trail you will pass an abandoned stone house. Nice view of Quartzsite through the window.